Hanson, Howard, Serenade for Flute and Piano. Op 35. 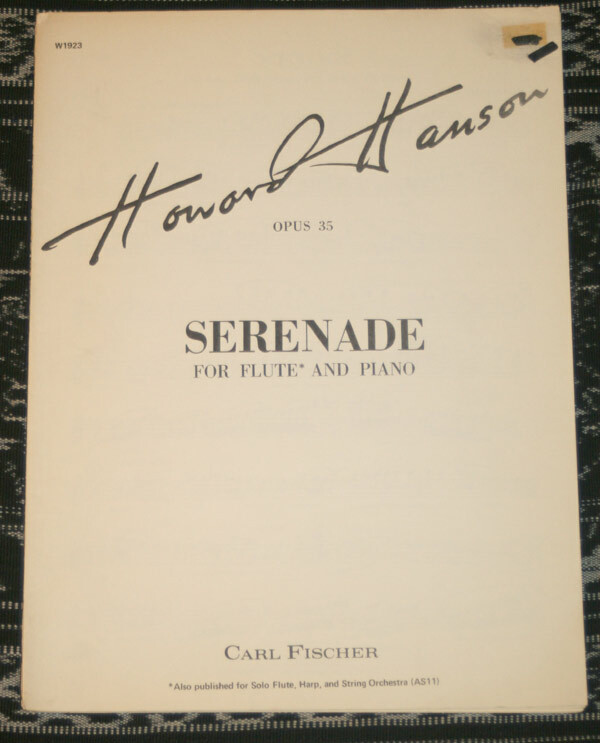 Hanson, Howard, Serenade for Flute and Piano. Op 35. 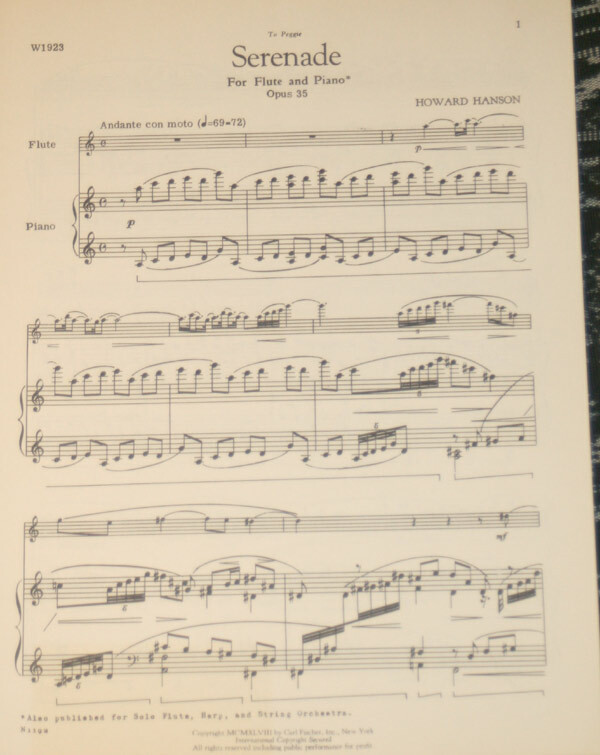 Serenade for Flute and Piano. Op 35. The Seine is asleep in the shadow of its bridges. Rose of the Winds that Autumn withers! In my head a bird sings all year long.